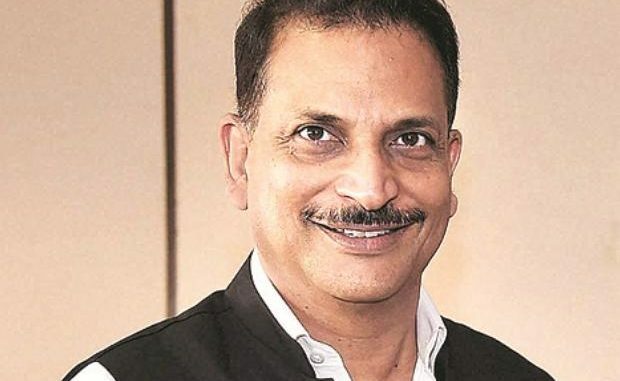 Resignation of Rajiv Pratap Rudy as minister of skill development and entrepreneurship has not come as a surprise to many in the government and Bharatiya Janata Party (BJP). In fact, some in the BJP believe that Rudy, a member of Parliament from Bihar’s Saran parliamentary constituency, was trusted with the portfolio in November 2014, keeping in mind the Bihar Assembly elections a year later. In the skill development ministry, Rudy’s first task was to prepare the ground for the launch of Prime Minister Narendra Modi’s flagship programme — Pradhan Mantri Kaushal Vikas Yojana (PMKVY)—in July 2015. The government allocated Rs 1,500 crore to train 2.4 million people, including 1.4 million fresh trainees and skilling of the remaining under the Recognition of Prior Learning (RPL) programme. 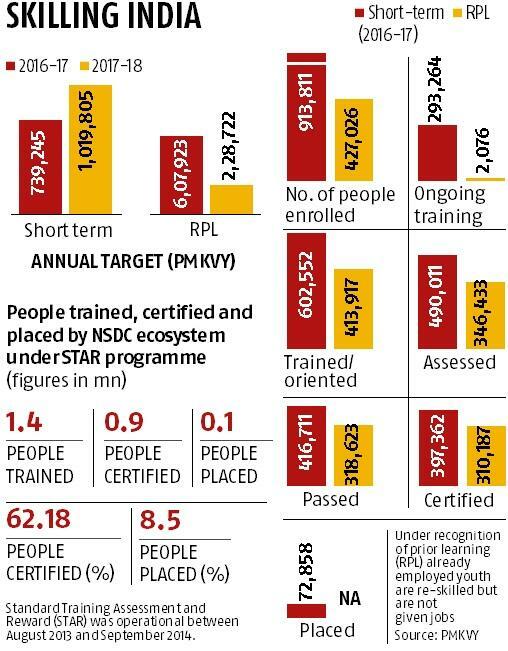 Since it was a scheme where trainees were rewarded between Rs 5,000 and Rs 12,000, the government through the National Skill Development Council (NSDC) overshot its target by training 1.8 million people, and certified another 1.2 million, according to the Sharada Prasad Committee set up by the skill development ministry to review the performance of various sector skill councils. The second phase or PMKVY 2.0 was launched the following year, with a budget of Rs 12,000 crore to skill 10 million youth by 2020. Of those 10 million, 6 million were to be provided fresh training and 4 million were to be certified for the RPL programme. “However, no evaluation was conducted of PMKVY 2015 (the first version of the scheme) to find out the outcomes of the scheme and whether it was serving the twin purpose of providing employment to youth and meeting the skill needs of the industry before launching such an ambitious scheme,” the committee report noted. Critics say the focus of PMKVY has been largely on the short-term skill courses, resulting in low placements. Narayanan Ramaswamy, partner and head of education and skill development, KPMG in India, said PMKVY was an ambitious scheme to impart short-term skills. “But there has been an over emphasis on this scheme and hence it is seen as the answer to all skill-related issues. We need to have a holistic approach to vocational education and skill development by having a defined approach for both short-term and long-term training courses to meet the objectives of the Skill India programme.’’ He added that there’s a need to look at these programmes initiated by the ministry of skill development and entrepreneurship for a host of other ministries and sectors. Officials pointed out that the government wanted to reap the success of PMKVY in the upcoming general elections, but blaming Rudy alone for the slow progress was unjust. “He was the first minister in the newly crafted ministry. He inherited a lot of baggage from the past and couldn’t build a team on his own,” said a source. People in the know suggest that Rudy was upset with the performance of the NSDC, which was set up in 2008 as a limited liability company, under Section 25 of the Companies Act, 1956. The main objective of the NSDC was to train 150 million people by 2022. Recent media reports indicated that the government was considering taking away powers of project implementation from the NSDC. But this is not the first time the NSDC has run into trouble. On November 13, 2015, the Comptroller and Auditor General (CAG) made a recommendation to the Union government to re-look at the design and operations of the NSDC and National Skill Development Fund to ensure achievement of skill development goals. The CAG report was based on various irregularities and performance aspects of the NSDC. “NSDC provided financial assistance to partners for meeting their agreed training targets. It was observed that in the years 2010-11 to 2013-14, the percentage of partners, who had not achieved training targets were 57, 77, 83 and 68, respectively. Majority of them also could not achieve the placement targets for the trained persons,” the report had noted. The Sharada Prasad Committee, in a report made public on April 25, 2017, also held the NSDC responsible for poor implementation of the Standard Training Assessment and Reward (STAR) programme between August 2013 and September 2014. “Only 8.5 per cent of the persons trained were able to get employment. That is what has been claimed by NSDC. But the real ground reality will emerge only after a detailed survey of trainees trained and placed,” the report said.